Student Sets allow your instructor to view your results for Online Quizzes. Follow the instructions contained on this page to join your instructor's Student Set so that you can share your results in order for your instructor to assign a grade. 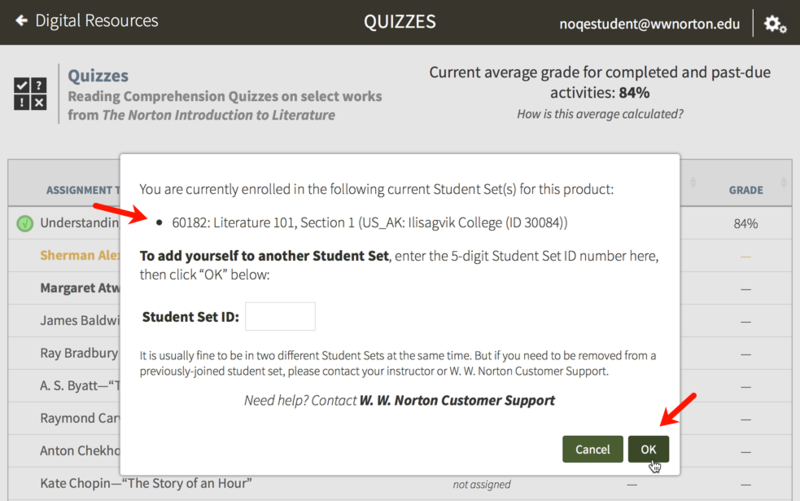 If Online Quizzes is integrated within your campus learning management system (Blackboard, Moodle, etc. 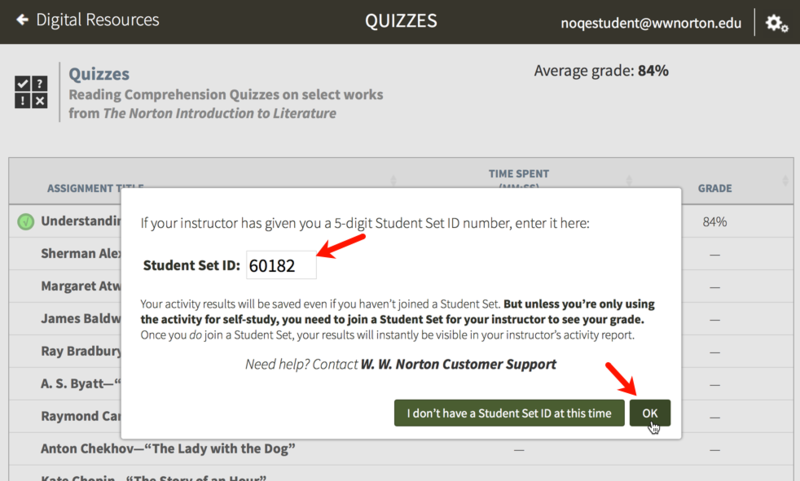 ), you will not need a Student Set ID number; your grades will automatically report to your instructor. Type your five-digit Student Set ID number into the field and click the OK button.